Orange You Glad I Linked to This? [McPhee writes,] Irish children take oranges to the movies, where they eat them while they watch the show, tossing the peels at each other and at people on the screen. Read the entire Orange Essay here. § 2 Responses to Orange You Glad I Linked to This? Yes, indeed I am. Love it. 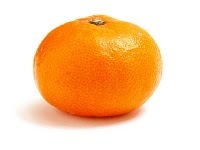 You are currently reading Orange You Glad I Linked to This? at BREVITY's Nonfiction Blog.